Musical As a boy, lowly tailor's son PT Barnum falls head over heels in love with Charity Hallett, who comes from a wealthy family. Romance blossoms and PT asks for the hand in marriage of Charity, who doesn't care about her parents' riches. The couple raise two daughters, Caroline and Helen, and PT vows to provide for his family by establishing a museum of living curiosities including bearded lady Lettie Lutz, dwarf Charles Stratton and high-flying trapeze siblings WD and Anne Wheeler. 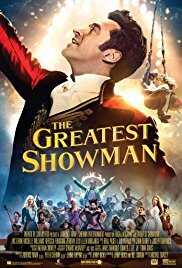 The Greatest Showman (Sing-Along) is not currently showing anywhere.